If your child is thinking about studying STEM (science, technology, engineering and mathematics) Butterfly Protector Lottie familiarises kids with conservation and science in a fun and appealing way. Her outfit consists of a purple jacket with matching trim, orange shorts, a pink t-shirt and a pair of green caterpillar wellies. Standing 18 cm tall, Lottie is easy for small hands to grip and hold. Velcro fastenings on the clothes make it easy for little girls to change her outfits. Accessories in the pack include a butterfly net, binoculars, butterfly life cycle information cards as well as four model butterflies! The back of the doll box has a story that helps girls understand why the planet’s ecosystem is reliant upon butterflies and other insects. 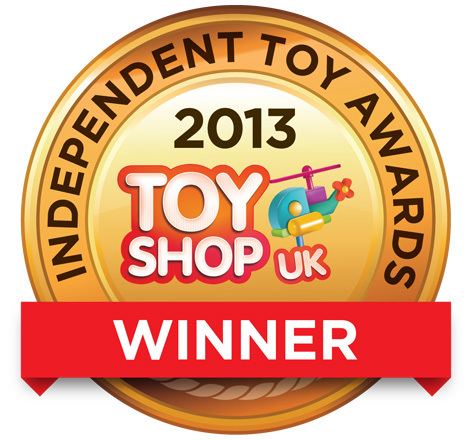 The Lottie doll range has won twelve international toy awards including Gold in the dolls category of our very own Independent Toy Awards. Other dolls in the Lottie range include Pandora’s Box, English Country Garden and Autumn Leaves. Please tell us what you think of the Butterfly Protector Lottie Doll by Arklu.